Salleh bin Mohammed Nor is Executive Director of TROPBIO Research. Kuala Lumpur, Malaysia. An adaptation of the position paper prepared for the Eleventh World Forestry Congress, "Challenges in enhancing the productive functions of tropical rain forests". The term tropical rain forest (tropische Regernwald) was first introduced by the German botanist A.F.W. Schimper in 1898 (Whitmore, 1990). Today tropical rain forest (TRF) can be found in all three tropical land areas with an estimated total of 17.6 x 106 km² (Dixon et al., 19943. The largest portion, totalling 4 x 106 km², is located in Latin America, followed by Asia (2.5 x 106 km²), and Africa with 1.8 x 106 km². However, it has been reported that the rate of deforestation of TRF is very serious. In 1990, FAO assessed the rate of deforestation in the tropics to be approximately 460 0()0 ha annually, i.e. 6 percent (FAO, 1993). If the present deforestation rate continues, many countries which have extremely high deforestation rates and only moderate amounts of TRF could actually lose all their forests by the year 2025 (WRI, 1988). Similar predictions were made by The United States Interagency Task Force on Tropical Forest which, in 1980, concluded that if the current trend continues the world's TRF outside Central Africa and the Amazon Basin would be "nothing but scattered remnants" by the year 2025 (Grainger, 1987). There can be no doubt that action can and should be taken to make sure that all the remaining TRF will not be depleted. Concerns expressed by all nations at the United Nations Conference on Environment and Development (UNCED) in 1992 need to be followed up and implemented on the ground. 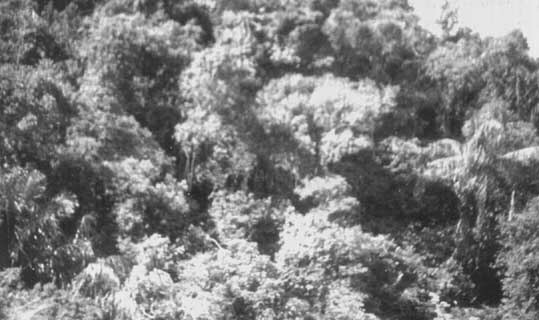 Among those concerned with conservation of the tropical forests, there is often a fear that utilization of forest resources will lead to their destruction or, at least, that if the forests are managed for the production of wood, other goods and services that could be obtained would be sacrificed. World demand for tropical timber has grown significantly over the last several decades (Panayotou and Ashton, 1992) owing to population growth and increased economic development. By the year 2000, the removal of tropical timber is projected to increase to 236 x 106 m³ (FAO, 1982; Erfuth, 1984), with Southeast Asia being the dominant source (Denslow and Padoch, 1988). Between 3 to 18 percent of the total wood production is traded in the international markets (WRI, 1988). At the same time, tropical hardwood exports increased by 14 times between 1950 and 1980 (Grainger, cited in Panayotou and Ashton, 1992). 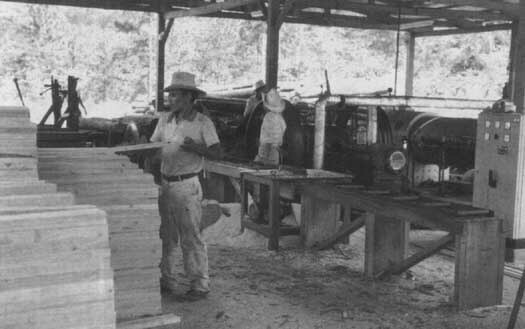 In 1980, Brazier (1982) estimated the total world's export of tropical timbers was valued at about US$8.7 billion. WRI (1988) reported the total value of exported timber products was worth approximately US$50 billion in 1985, generating a major portion (10 to 20 percent) of foreign exchange earnings of some developing countries (Grainger, 1986). TRF accounted for only 13 percent of all world industrial roundwood production (Panayotou and Ashton, 1992). However, if the current trends of logging and deforestation continue, it is feared that there will be not much forest left to supply the timber needs of future generations. Forest harvesting and transportation are essential components of forest management. Thus the choice of logging and transportation methods must be given careful consideration because they have the greatest impact on the future productivity of the forest. Critical components of the forest ecosystem that can be adversely affected by harvesting and transport operations include the residual timber stand, soil stability, game animals, rare species, and watershed regulation (Mare and Jonkers, 1981). Careless operations can result in excessive mortality of seedlings, which may result in inadequate stocking of desirable species, lower future timber yields and a prolonged harvesting cycle. Logging or forest harvesting is the first major impact of human interference on the forest and should therefore be properly planned and executed. It has far-reaching implications on the long-term future of the forest and judicious care is critical to ensure recovery and growth of the residual forest. In this regard, the practice of reduced impact logging (RIF) is an effort aimed at ensuring proper initial treatment of the forest. As such, therefore, logging should be considered as part of the silvicultural process. At present, several logging methods are used worldwide: i) wheeled or crawler tractors; ii) winch-powered ground cables; iii) skyline cables; and iv) helicopters or balloons. Crawler tractor systems are the most popular in the logging industry but are particularly damaging to the residual stand (Nicholson, 1958), with overall disturbance greater than winch-powered ground cable systems (Hamilton and King, 1983). Total soil disturbance from skyline logging is less than the ground cable system owing to fewer road and skid-trail requirements. Aerial extraction systems, using helicopters or balloons, cause the least amount of damage, but are the most expensive. Timber harvesting, even under effective sustained yield management for wood, still puts most of the other aspects of sustainable management at risk. The damage caused to the forest structure, the forest and social environment and the ecosystem is far greater than any other land use change except for agricultural clearing (FAO, 1994a). To minimize the damage to the forest ecosystem, Leslie in FAO (1994a) suggested that low-impact harvesting techniques should be incorporated with sustainable yield management. This included: felling fewer trees per hectare; avoiding damage to the residual stand; and the retention and protection of trees and other non-wood goods and products that have actual or potential commercial or handicraft value or ecological or cultural significance. There has been a slow shift to the use of more environmentally sound technology in forest harvesting and transportation. More and more research done in recent years has focused primarily or exclusively on the environmental impacts associated with harvesting operations or infrastructure development and necessities for the improved control of logging operations (Dykstra and Heinrich, 1997). Careful planning of logging roads and skid trails can minimize canopy and forest floor damage. In Sarawak, such planning enabled 36 percent more timber to be removed per hour, with overall costs reduced by 19 percent and open spaces in the forest reduced from 40 to 17 percent, with 60 rather than 40 commercial stems surviving per hectare (Mare and Jonkers, 1981). On the other hand, rain forest silviculture is the manipulation of the forest to favour certain species and thereby enhance its value to humans (Whitmore, 1990). The biological principle of silviculture is that by controlling canopy gap size it is possible to influence species composition of the next growth cycle. In forests where the stocking of seedlings and saplings of desirable species is inadequate for natural regeneration, either because of inherently low seedling survival or as a result of destructive logging operations, the options available are limited. Artificial regeneration through enrichment planting is perhaps the best option for restoring the desired species to the remaining forest. This is because the natural regeneration of commercial species depends largely on the survival of established seedlings, as fruiting is irregular and therefore unlikely to occur before a buildup of weeds following logging (Whitmore, 1984; Kio, 1987). The success of enrichment planting varies enormously with the methods used, the species planted and the extent and quality of post-planting care (Panayotou and Ashton, 1992). This practice has been tested in various forest types in both Asia and Africa, with an emphasis on the regeneration of dipterocarp and mahogany species, respectively (Whitmore, 1984; Nwoboshi, 1987). There are two enrichment planting methods currently being practiced: i) line planting, in which seedlings are planted out in corridors, generally cleared of much of the overhead; and ii) group planting, in which groups of seedlings are planted in naturally or artificially created canopy gaps (Kio, 1987). To date, enrichment planting has rarely been a complete success. Seedlings often fail to establish, and those that do frequently exhibit poor growth or are overwhelmed by climbers and weeds (Liew and Wong, 1973; Kio and Ekwebelam, 1987). However, Kio (1987) suggested that the failure of enrichment planting is due to improper applied methods rather than a flaw in the concept itself. As pointed out by Ashton (cited in Panayotou and Ashton, 1992), enrichment planting has generated high success rates in Karnataka and other states of India and in Sri Lanka over many years. Experiments in Malaysia have also indicated the encouraging potential of enrichment planting with both indigenous and exotic species, when this is accompanied with a concerted effort at maintenance and treatment including fertilizer application. The author is convinced that enrichment planting is not only a viable option but a necessity in tropical forest management owing to the reduction of the quality of residual stands after logging. Moreover, enrichment planting will ensure the survival of the species for future supply and assist in planning utilization practices. Current estimates of forest plantation areas globally show an area of approximately 135 x106 ha (Masher, 1990; Sutton, 1991; FAO, 1993) dominated by only a few genera Acacia, Eucalyptus, Picea and Pinus. Araucaria, Gmelina, Larix, Paraserienthes, Populus, Pseudotsuga and Tectona are regionally important (Savill and Evans, 1986; Evans, 1992). Only about 25 percent of the world's existing forest plantations are in the tropics and subtropics, of which about 15 percent are found in Asia and the Pacific, 7 percent in the American continents and 3 percent in Africa (Evans, 1992; Kanowski and Savill, 1992). The establishment of forest plantations in the tropics has increased significantly over the past decades. Evans (1992) reported a sixfold increase in area of plantation over a period of 25 years with 6.7 x 106 ha in 1965 to 42.7 x 106 ha in 1990. These plantations are almost entirely even-aged monoculture plantations with the primary purpose of wood production (Evans, 1992; Panayotou and Ashton, 1992; Kanowski, 1997), with 90 percent having been established for industrial wood production. FAO (1993) estimated that the annual rate of forest plantation establishment rate is around 2.6 x 106 ha in the tropics, which is much lower compared with temperate zones where it has been reported to be about 10 x 106 ha (Masher, 1990). Countries such as Indonesia and Chile have established forest plantations by converting natural forests, while in New Zealand and Portugal, plantation establishment has shifted entirely to sites formerly used for agriculture (Kanowski, 1997). Currently, forest plantations provide about 10 percent of the world's wood harvest but it is projected to increase as the availability of natural forest for logging diminishes, as economic pressures and technological change favour plantation crops and as the forest plantations mature and expand (Kanowski, 1997). While the main function of forest plantations is to produce wood, they can be developed to play a much more meaningful role in the global environment. The world is beset by problems of land degradation. There are currently millions of hectares of degraded lands in the world. The only activity that can be developed within areas of that magnitude is forest plantations and the growing of trees. This is a golden opportunity for forestry and the forestry profession to create an impact on the global environment as well as to provide a much needed renewable resource for the future. The author offers this challenge to FAO and the International Tropical Timber Organization (ITTO) - viz. to champion a massive reforestation programme of the degraded lands of the world in 20 years, with the objective of ensuring that at least 75 percent of the world's degraded lands will be planted with trees by the year 2020. The author proposes that these two international forestry organizations join forces to undertake this challenge and mobilize all resources available towards achieving this objective. Besides "greening" the earth, forest plantations can play a very important role in carbon sequestration and support global efforts in addressing the problems of greenhouse gas emissions and climate change. Non-wood forest products as defined by Wickens in FAO (1994b) refer to market or subsistence goods and services for human or industrial consumption derived from renewable forest resources and biomass, bearing promise for augmenting real rural household incomes and employment. The products include use of plants for food, beverages, forage, fuel and medicine; animals, birds and fishes for food, fur and feathers; and the services of land for conservation and recreation. Non-wood forest products or minor forest products, the term used for everything the forest provides other than timber, are a cornucopia of useful goods for humankind. Often considered as forest byproducts, the potential economic value either monetary or in terms of utilization) is usually unknown or unappreciated by forest managers. The fast rate of disappearance of tropical vegetation has injected a note of urgency for researchers to study in more detail the potential of the forest as a source of minor forest products, as non-wood products can give cash earnings and intangible values. Forest managers, in particular, should try to increase the productivity of the forests in non-wood forest products while at the same time continuing to provide essential products and services to humankind. Harvesting, processing and marketing of non-wood goods for local craft production and small-scale industries or for international markets can create employment since most of the processes are labour intensive. Employment in these industries can generate significant income for local collectors and processors. In Belize, Balick and Mendelsohn (1992) found that traditional medicinal plants can provide "bush masters" or gatherers, with two to ten times more effective annual income than farmers. The Institute for Amazonian Studies (IEA, 1989) reported that an average annual income per family in Xapuri, Brazil, from extracting rubber and nuts for local communities was US$960. If combined with other non-monetized activities such as fishing and hunting, the total annual income can be increased to US$1 500 per family. This is twice the earnings of the general population in northern Brazil. Non-wood forest products can also be a major source of foreign exchange where the products have entered the international market and are taxed and recorded. For instance, 40 percent of the total revenue of the Forest Department in India in the 1990s is collected from non-wood forest products (Mukerji, 1994). There was a 480 percent growth in export earnings of non-wood forest products in Malaysia from 1986 to 1988. From 1982 to 1987, export revenue from non-wood products in Thailand increased by 81 percent (de Beer and McDermott, 1989). In the Asia and the Pacific region, rattan, from the natural forest, is the major product from the forest after timber. Rattan cultivation has proved profitable both for smallholders and for plantations in Indonesia and Malaysia. Many other plant species are widely utilized for craft-based industries, including bamboo, kapok and other species of palm, which are widely utilized as food wrappers, rice baskets, fish traps and mats (Pearce, 1989). Bamboo usually occurs in significant quantities in disturbed sites. World bamboo production is currently more than 10 million tonnes annually (Sharma, 1980). In India, an estimated 2 million tonnes (dry weight) of bamboo provide 600 000 tonnes of paper pulp yearly (Lessard and Chouinard, 1980). Abdul Razak and Abd. Latif (1988) estimated that bamboo covers an area of about 320 000 ha in Peninsular Malaysia with an estimated standing stock of about 7 million tonnes. The local market for bamboo products in Peninsular Malaysia is worth about $M 3 million (US$1.2 million) annually (Aminuddin and Abd. Latif, 1996). In Sarawak, locally woven mats and baskets are becoming popular with tourists (Pearce, 1989). Orchids and pitcher plants are especially prized in Malaysia. Pitcher plants, especially Nepenthes rajah, which can fetch up to US$ I 000 per plant on overseas markets, can be found only in the mountains of Sabah and Sarawak and some collectors even use helicopters to reach the remote peaks (Briggs, 1985). Non-wood products can be a potential substitute to fossil fuels. 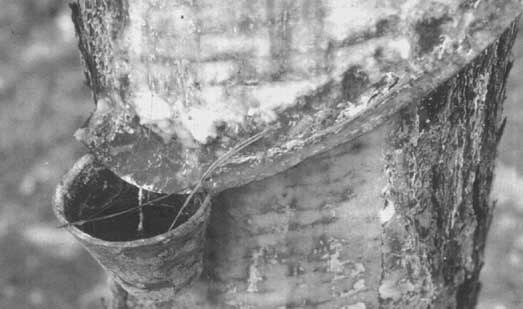 The trunk of Copaifera langsdorfii, a leguminous tree of the Amazon, produces an inflammable oil which is tapped and used locally as a replacement for kerosene (Whitmore, 1990). For millennia, the forest has been the source for humankind's medicinal needs. This fact is well documented in a number of early publications detailing the use of various plant parts for numerous ailments (Burkill, 1966). Demand for medicinal products remains strong and stable in many countries especially in developing countries where up to 80 percent of the population may continue to depend on traditional remedies (WHO, 1977). Forests are a biochemical storehouse. A large number of chemicals are present in various parts of the plants. Lignin is utilized for the manufacture of plastics, ion-exchange resins, soil stabilizers, rubber reinforcers, fertilizers, vanillin, tanning agents, stabilizers for asphalt emulsions and dispersants for oil-well drilling and for ceramic processing. Cellulose can be utilized for rayon and plastics and as a raw material for hydrolysis to sugar which, using yeast, can be turned into alcohol and edible protein (Whitmore, 1990). A good example is latex from the rubber tree which has demonstrated its commercial importance. In the past, the wood of Caesalpinia sappan was used to produce a red dye in Malaysia (Burkill, 1966). Rhizophora mucronata which has a high percentage of tannin in wood is used in the tanning industry (Burkill, 1966). 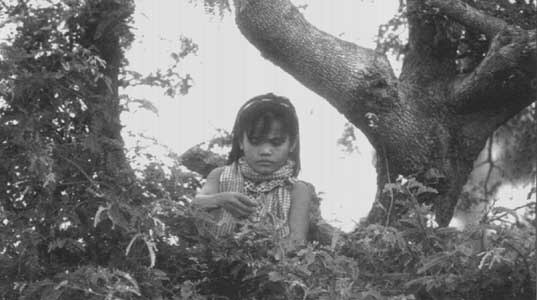 Amazon forest dwellers use Copaifera spp., Couma spp. and Manilkara spp. trees to produce commercial resins or resinous oils (Dubois, 1996). On an industrial scale, oil extracted from babassu palm (Attalea speciosa) kernels is used to produce soap or margarine (Balick, 1988). A similar situation occurs with neem (Azadirachta indica) in India (Tewari, 1992). Latex, resins, cosmetics, condiments and other biochemical products that are exploited for their unique chemical properties may offer high value added potential when collected and semi-processed in the wild. However, once their value in international trade passes a certain threshold, their production in developed countries is likely to be replaced by synthetic substitutes as happened with natural dyes extracted from Caesalpinia sappan (Burkill, 1966). Faunal non-wood forest products such as wild animals, birds, fishes, reptiles and insects are an essential component of local economies and have high potential as resources for game, food, fur and feathers which have high commercial value. In Thailand more than 60 percent of the rural people depend on fish as their main source of animal protein (Brennan, 1981). Pierret and Dourojeanni (1966) reported that despite the availability of cattle and domestic pigs, rural populations in the Amazon consume about 85 percent of their meat from fish and wild meat (peccary, deer and tapir). Tourism is also a major source of income especially for African savannah countries. Kenya earned between US$350 million and US$450 million annually from tourism industries (Dixon and Sherman, 1990). Nature-oriented tourism in Costa Rica generates between US$3 million and US$ 10 million annually (Laarman, 1987). The park entrance fees alone can generate US$200 000 yearly for Rwanda's economy (Weber and Vedder, 1984). While the above indicates both the values obtained and the potential of non-wood forest resources, the fact remains that much still needs to be done to develop the resources on a sustainable economic manner so that they can play a long-term role in the economic life of rural people. With few exceptions, nearly all the resources are harvested from nature and there is no security of supply and no control on quality. With the diminishing and degraded forests not being replenished, the problems of a continued supply of non-wood forest products are becoming real. Furthermore, there is very little scientific knowledge being generated through research on the biology, physiology and genetics of these resources. The initiative of the International Development Research Centre (IDRC) of Canada to promote R&D in bamboo and rattan is laudable and this effort has culminated in the formation of the International Network on Bamboo and Rattan (INBAR). However, bamboo and rattan are the only non-wood forest products for which an international institution has been formed specifically to address these products. An international global strategy needs to be developed and resources redirected from less relevant or urgent programmes. The first urgent task is to ensure that the resources do not become extinct. A concerted effort needs to be launched to identify which resources are endangered as a result of overuse or destruction of the ecosystem and a resource conservation programme developed. The second urgent task is to identify areas of potential and develop dedicated programmes. For example, the world will need to find an economic renewable and environmentally friendly fuel to replace fossil fuels. While Malaysia has succeeded in producing products from oil palm to run specially designed car engines, the potential of other alternatives such as the Amazon Copaifera langsdorfii need to be investigated. Finally, there is the area of R&D. Forestry research and forestry science lag far behind other sciences. Information technology and the science of electronics have developed by leaps and bounds over the last decades and agricultural sciences have progressed significantly as well. While the International Center for Research in Agroforestry (ICRAF) and the Centre for International Forestry Research (CIFOR) are now in the Consultative Group on International Agricultural Research (CGLAR), we are more than 20 years behind the International Rice Research Institute (IRRI), the International Centre for Tropical Agriculture (CIAT) and the other international institutions addressing agricultural research. In teens of finances and trained personnel, forestry research is far behind agriculture. The same lack of support is reflected in national programmes worldwide and the propensity to reduce forestry programmes in developed nations is a real cause of concern. Thus, while non-wood forest products could hold the key to the survival of forestry as a discipline and as a profession, there is much to be done in understanding the production systems of these products. Until they are truly understood, there is little likelihood that their full potential can be harnessed. The world is beset by problems, not the least of which are environmental. The Earth Summit Plus Five, held in New York in June 1997, did not give much hope as there was little commitment by global leaders to address these problems. However, while the political leaders may not give us any basis for hope, the professionals and natural resource managers must do their utmost to commit their professional careers and efforts to addressing the problems at hand. We cannot use the lack of commitment by political leaders as excuses for lack of professional effort on our part. While financial resources are necessary to address many of the global problems, we as professional foresters in the pursuit of our daily tasks and responsibilities can contribute towards solving some of these problems. For example, as practical foresters, we can ensure minimum damage to forests caused by logging by ensuring the proper enforcement of rules and regulations. We can individually and collectively try practice what we as a profession preach. We can promote tree planting, sustainable resource management and environmental awareness among the public. We can support non-governmental organizations (NGOs) to mobilize public support for environmental programmes. However, fundamental to the success of these efforts is an understanding of the functions of the various components of the forest. While there is adequate knowledge for action programmes, much needs to be discovered. The need for further research and understanding of the resources, the ecosystems and the linkages between them is urgent. Greater resources in the form of finance and trained human resources need to be redirected to this effort. Unless there is a total commitment by all concerned, there is little hope of maximizing the benefits from our tropical forests and ensuring the long-term sustainability of this important and unique resource. Abdul Razak, M.A. & Abd. Latif, M. 1988. Properties of small-scale wood-based industries. Paper presented at the Seminar on Opportunity and Technological Development in Small-scale Industries. 2829 March 1988. Kuala Lumpur. Aminuddin, M. & Abd. Latif, M. 1996. Non-wood forest resources: management and research considerations. Paper presented at The Second International Short Course on Sustainable Tropical Forest Management, 4-16 November 1996, UPM Serdang, Selangor, Malaysia. Balick, M.J. 1988. The use of palms by the Apinayé and Gaujarara Indians in northeastern Brazil. In M.J. Balick, ed. The palm-tree of life: biology, utilization and conservation. Advances in economic botany, Vol. 6, p. 65-90. New York, New York Botanical Garden. Balick, M.J. & Mendelsohn, R. 1992. Assessing the economic value of traditional medicines from tropical rainforests. Conserv. Biol., 6(1). Brazier, J.D. 1982. Patterns, trends and forecasts of wood consumption to the year 2000. Address to the Annual Meeting of the British Association for the Advancement of Science. Brennan, J. 1981. The original Thai cookbook. New York, Richard Marek Publishers. Briggs, J.G. 1985. The current Nepenthes situation in Borneo. Malayan Naturalist, February: 46-48. Burkill, I.H. 1966. A dictionary of the economic products of the Malay Peninsula, Vol. I and II. Kuala Lumpur, Ministry of Agriculture. de Beer, J. & McDermott, M. 1989. The economic value of non-timber forest products in Southeast Asia. Amsterdam, Netherlands Committee for the International Union for Conservation of Nature and Natural Resources. Denslow, J.S. & Padoch, C., eds. 1988. People of the tropical rain forest. Berkeley, USA. University of California Press. Dixon, J.A. & Sherman, P.B. 1990. Economics of protected areas. Washington, DC, Island Press. Dixon, R;K., Brown, S., Houghton, R.A., Solomon, A.M., Trexler, M. & Wisneiwski, J. 1994. Carbon pools and flux of global forest ecosystems. Science, 263: 185-190. Dubois, J.C.L. 1996. Uses of wood and non-wood forest products by Amazon forest dwellers. Unasylva, 47(186): 8-15. Dykstra, D.P. & Heinrich, R. 1997. Forest harvesting and transport: old problems, new solutions. Special paper prepared for the Eleventh World Forestry Congress, 13-22 October 1997, Antalya, Turkey. Erfuth, T. 1984. Trends in timber supplies from tropical regions. In Proceedings 7341: International Forest Products Trade. Madison, Wisc., USA, Forest Products Research Society. Evans, J. 1992. Plantation forestry in the tropics, 2nd ed. Oxford, UK, Clarendon Press. FAO. 1982. World forest products, demand and supply 1990 and 2000. FAO Forestry Paper No. 29. Rome. FAO. 1993. Forest resources assessment 1990 tropical countries. FAO Forestry Paper No. 112. Rome. FAO. 1994a. Sustainable management of tropical moist forest for wood. By A.J. Leslie. In Readings in sustainable forest management. FAO Forestry Paper No. 122. Rome. FAO. 1994b. Sustainable management for non-wood forest products in the tropics and subtropics. By G.E. Wickens. In Readings in sustainable forest management. FAO Forestry Paper No. 122. Rome. Grainger, A. 1987. The future environment for forest management in Latin America. In Management of the forests of tropical America: prospects and technologies. Washington, DC, Institute of Tropical Forestry/USDA Forest Service. Hamilton, L. & King, P. 1983. Tropical forested watersheds. Boulder, Colo., USA, Westview Press. IEA. 1989. Man and the environment in Amazonia, potential forest use and the social management of natural resources. Curitiba, Brazil. Kanowski, P. 1997. Plantation forestry at the millennium. Special paper prepared for the Eleventh World Forestry Congress, 13-22 October 1997. Antalya, Turkey. Kanowski, P.J. & Savill, P.S. 1992. Forest plantations: towards sustainable practice. In C. Sargent & S. Bass, eds. 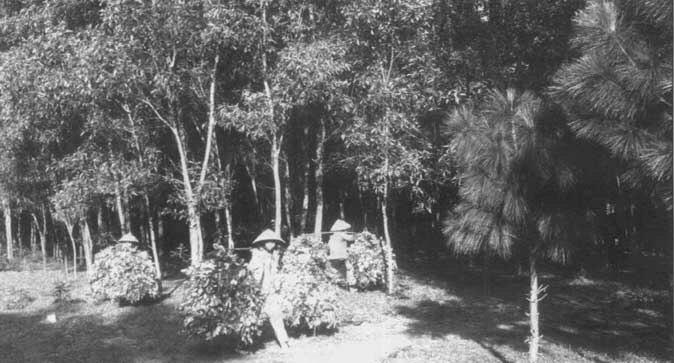 Plantations politics: forest plantations in development, p. 121 - 151. London, Earthscan. Kio, P.R.O. 1987. ITTO project: perspective for Africa. Consultancy report for the Harvard Institute for International Development, Cambridge, Mass., USA. Kio, P.R.O. & Ekwebelam, S.A. 1987. Plantations versus natural forests for meeting Nigeria's wood needs. In F. Mergen & J.R. Vincent, eds. Natural management of tropical moist forest, p. 149-176. New Haven, USA, Yale University, School of Forestry and Environmental Studies. Lessard, G. & Chouinard, A., eds. 1980. Bamboo research in Asia. Proceedings of a workshop held in Singapore, 22-30 May 1980. Ottawa, International Development Research Centre. Liew That Chim & Wong Fung On. 1973. Density, recruitment, mortality and growth of dipterocarp seedlings in virgin and loged-over forests in Sabah. Malaysian Forest, XXXVI(1): 3-15. Marn, H.M. & Jonkers, W.B. 1981. 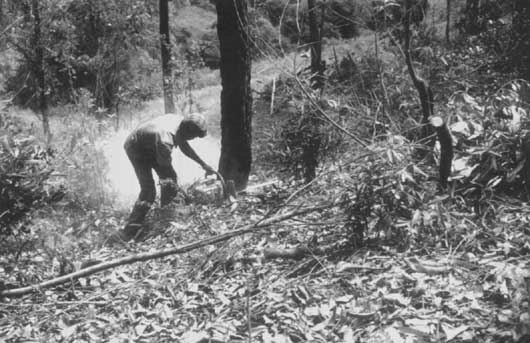 Logging damage in tropical high forest. Paper presented at the International Forestry Seminar, Kuala Lumpur. Sarawak Forestry Department, Kuching, Sarawak, Malaysia. Mukerji, A.K. 1994. India's forests: a status report - concepts, definitions, trends, controversies. Paper presented at the International Workshop on India's Forests Management and Ecological Revival, 10-12 February 1994, New Delhi. Nicholson, D.I. 1958. An analysis of logging damage in tropical rain forest, North Bornea. Malaysian Forest., XXI: 235-245. Nwoboshi, C.L. 1987. Regeneration success of natural management, enrichment planting and plantations of native species in West Africa. In F. Mergen & J.R. Vincent, eds. Natural management of tropical moist forest. New Haven, USA, Yale University, School of Forestry and Environmental Studies. Panayotou, T. & Ashton, P.S. 1992. Not by timber alone: economics and ecology for sustaining tropical forests. Washington, DC and Covelo, California, Island Press. Pearce, K.G. 1989. Utilization of palms in Sarawak. Malayan Naturalist, November: 6891. Pierret, P.V. & Dourojeanni, M. 1966. La caza y la alimentación humana en las riberas del no Pachitea, Peru. Turrialba, 6(3). Savill, P.S. & Evans, J. 1986. Plantation silviculture in temperate regions. Oxford, UK, Clarendon Press. Sharma, Y.M.L. 1980. Bamboo in the Asia-Pacific region. In G. Lessard & A. Chouinard, eds. Bamboo research in Asia. Proceedings of a workshop held in Singapore, 22-30 May, 1980. Ottawa, International Development Research Centre. Sutton, W.R.J. 1991. Are we too concerned about wood production? New Zealand Forestry, 36(3): 25-28. Tewari, D.N. 1992. Monograph on neem (Azadirachta indica A. Juss.). Dehra Dun, India, International Book Distributors..
Weber, W. & Vedder, A. 1984. Forest conservation in Rwanda and Burundi. Swara, 7: 32-36. Whitmore, T.C. 1984. Tropical rain forests of the Far East, 2nd edition. Oxford, UK, Clarendon Press. Whitmore, T.C. 1990. An introduction to tropical rain forests. Oxford, UK, Clarendon Press. WHO. 1977. The selection of essential drugs Second Report of the WHO Expert Committee. WHO Technical Report Series No. 641. WRI. 1988. World resources 1988. New York, International Institute for Environment and Development and World Resources Institute, Basic Books.